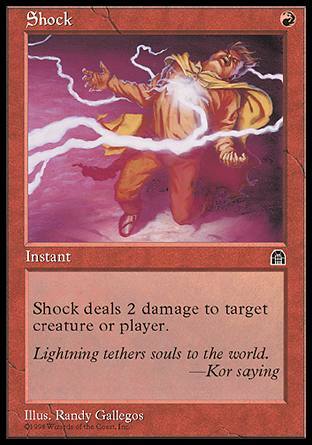 card text: Shock deals 2 damage to target creature or player. #1 burn card that is still being reproduced in later sets! ..